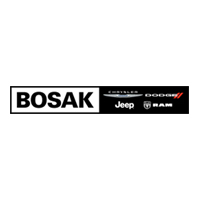 Bosak motors was a very helpful and straight forwards deal Chris the dealer who helped me was caring and told me like it is. He never beat around the bush told me everything I need to hear and the best payment plan for me. Highyly recommend buying a car from him great worker. Chris was the best salesperson at Bosak. I first tried to get a loan with them and could not accept for personal reasons. 3 months later my situation had improved and I contacted Chris. He picked up right where we left off. Got me approved and got me in a great car the next day. He was quick, efficient and professional. I also want to recognize Nick in finance. He will tell you right up front that he’s completely transparent in everything he tells you. He was honest, truthful and got me a great rate!Thank you Chris and Nick for making car buying fun and not a drudgery!! All my friends and relatives will be coming to you!!! Got an oil change today, service was great! Aaron in service was outstanding! Made me feel at home and treated me like family! Best Dealer in the area for all you Chrysler Jeep and Dodge needs.